Zheng is a recognized attorney across a range of U.S. and Chinese legal and business issues. She focuses on corporate and regulatory matters associated with international trade transactions and litigation, as well as licensing issues within the Departments of Commerce and State. Zheng practices extensively before federal agencies and courts regarding corporate issues, commercial transactions, international trade, international transportation and related regulatory matters. She advises clients in implementing Compliance Programs and establishing Standard Operating Procedures as a means to minimize risk. She also counsels clients on customs, export controls, trade sanctions, voluntary disclosures, the U.S. Foreign Corrupt Practices Act, and anti-boycott and related trade laws and procedures. Moreover, Zheng represents clients in federal agencies proceedings and related federal appellate litigations, legislative and rulemaking proceedings, trade negotiations and insurance claim negotiations. Zheng is actively involved in a number of business and legal organizations, including China-U.S. business and trade communities and associations in Washington D.C. Having studied extensively in both countries, she is adept at assisting U.S. clients doing business in China and Chinese clients doing business in the U.S. In addition to her legal practice, Zheng is a recognized television host at Washington Chinese Media. She interviews top experts, business leaders and policy makers influential to China-U.S. relations. Additionally, she monitors policy changes from both a business and legal perspective. For example, following the 3rd Plenary Session of the 18th CPC Central Committee meeting, Zheng interviewed Minister Lu Kang about impacts of the plenary session on foreign companies. Recently, she interviewed the President of the International Fund for China’s Environment on China-U.S. cooperation to improve the environment. 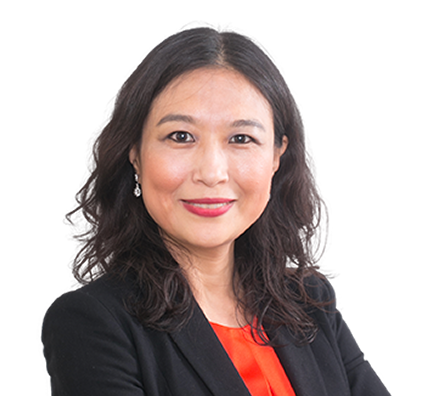 With a unique combination of legal savvy and television personality, Zheng offers her international clients diverse experience and a fresh perspective on legal compliance, business issues and dispute resolution. Zheng's bio can also be found translated into Chinese.